Summon some guests, plug your X-Arcade on your lounge PC or on your console ... and watch for the miracle. 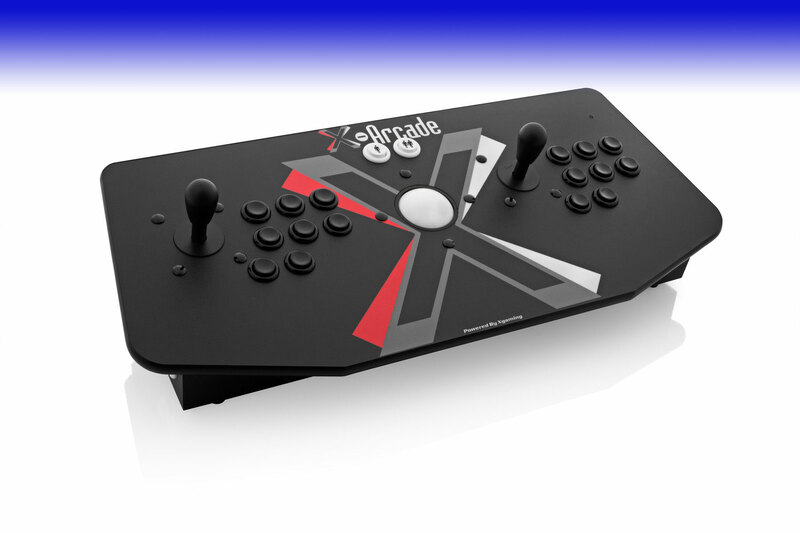 X-Arcade Arcade Stick offers a unique, intense, unchecked experience of video games....especially fight games! Some Street Fighter™ with your buddies ? Or would you rather play Frogger™, Rampage™ or Joust™ with your own kids ? X-Arcade is not your typical arcade stick : with over 70 cm in width and 10 kg on the scale, it was designed for intense heavy-duty. 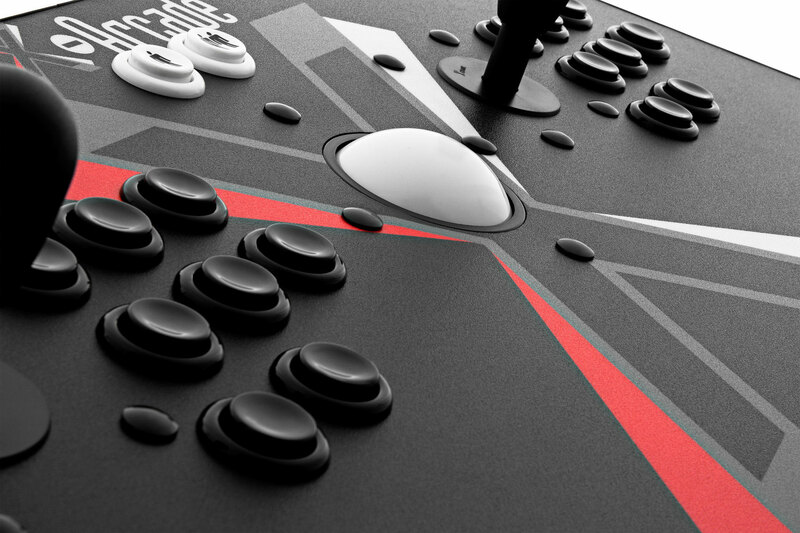 When you play with your X-Arcade controller, you can offload all you energy with the garanty that this joystick will support the most brutal and excessive players. That's one of the reason we offer lifetime garanty on any damage or wear of component. Accurate as a fine watch - Ready for competition ! Your X-Arcade joystick offers an absolutely perfect precision so that you can unleash your combos one after the other at lightspeeed without failing due to mechanical factors. 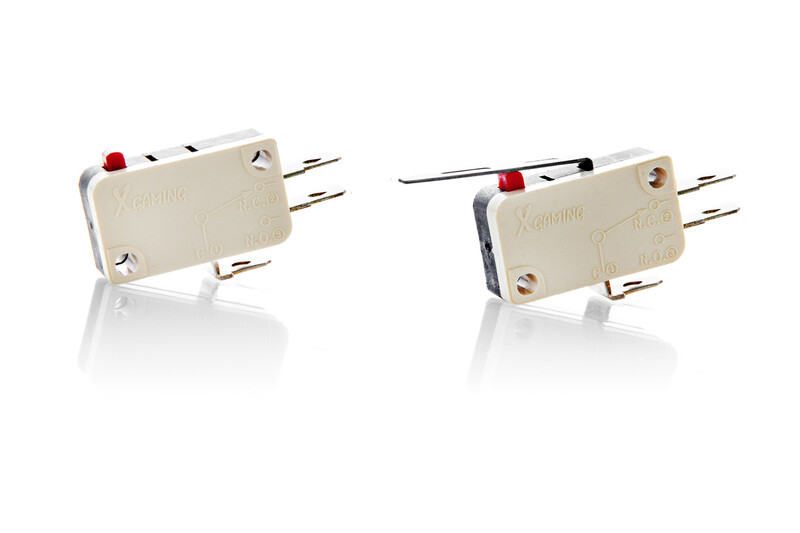 X-Arcade is built using industrial micro-switches, designed for millions of activations. Internal connexions are gold plated for perfect conductivity. 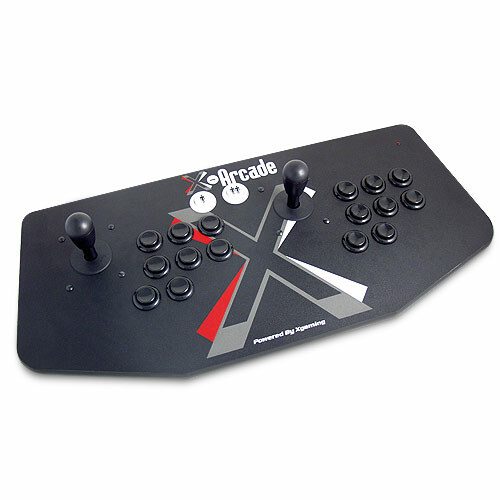 When you play with X-Arcade, its like having a warfare weapon : iron clad as a tank, precise as a missile!! Video games have made great strides in recent years. Despite this, the experience conviviality is not measured by the millions of polygons displayed each second on the screen. X-Arcade let you find again the magic, innocence and feelings from the first video games. Two players can play side by side on a X-Arcade, enabling a convivial, intense and ...physical experience : handling this massive joystick is nothing like exercising your thumbs on your usual small gamepad!! - Entertaining people in high traffic locations : communal house, waiting room, recreation centres, restaurant ... or at the office between work mates! 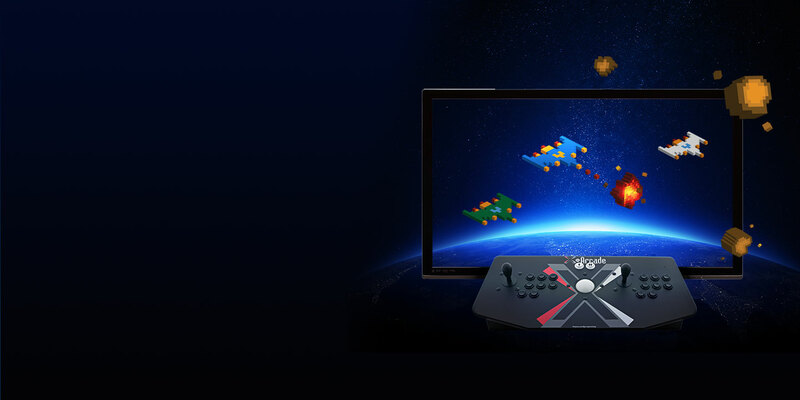 Any PC is able to run the universal arcade emulator MAME, giving you potential access to tens of thousands of games. You can live again the thrills and feels of the most mythical ones thanks to X-Arcade. Just plug your X-Arcade on any USB port and let's go! No driver is required. 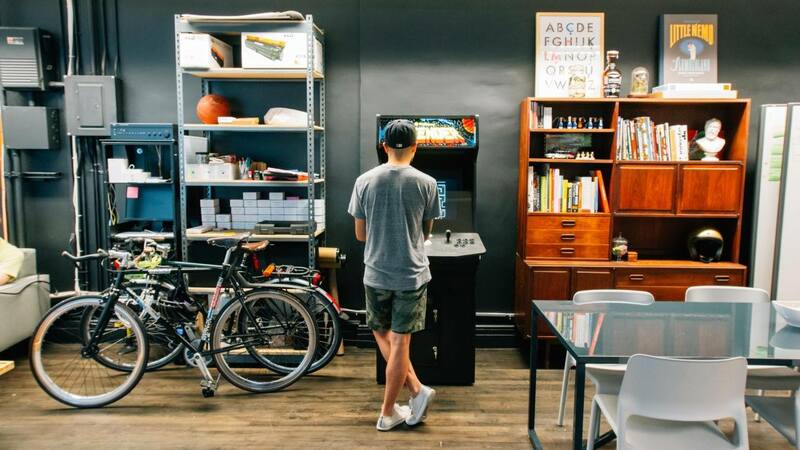 Want to build you own arcade with a tiny budget ? Just plug your X-Arcade on a Raspberry Pi micro PC (only 35 euros!) , and be ready to run your favorite games - the Recalbox emulator which is optimized for Raspberry Pi automatically recognizes X-Arcade and you can start to play immediately. You can also plug your X-Arcade on latest generation console thanks to the corresponding adapters (sold separately) - You'll then have the best joystick for fight games and the most recent games : Mortal Combat X, Street Fighter V, etc. 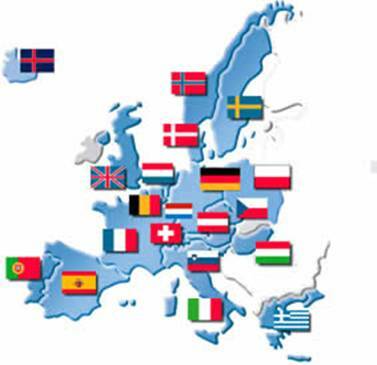 We use Colissimo and UPS services to deliver to any location in Europe. All our parcels are insured, registered and with a tracking number. Our payment process is simple and safe. Your information is transmitted in encrypted SSL connection to La Banque Postale. Paypal is also available. This guarantees the highest standards of excellence and security for your electronic shopping experience. If for any reason you are not fully satisfied with your X-Arcade, you have 30 days from the date of delivery to return the product.